Our caravan at Devon Cliffs has a ramp and a parking space and is on a public bus route. The park is hilly and set on cliffs overlooking beautiful Sandy Bay. It has its own sandy beach which is down a steep slope. This Park has an outstanding and extensive range of facilities along with an almost non-stop programme of activities for children, teenagers and adults. The pub diner has views across the bay. There is a great choice of shops, bars, and places to eat on the park including a Starbucks Coffee House, Burger King and Papa John’s. There is also a spa complex including pool and beauty treatments. Direct beach access by ramp – difficult but possible for wheelchairs. 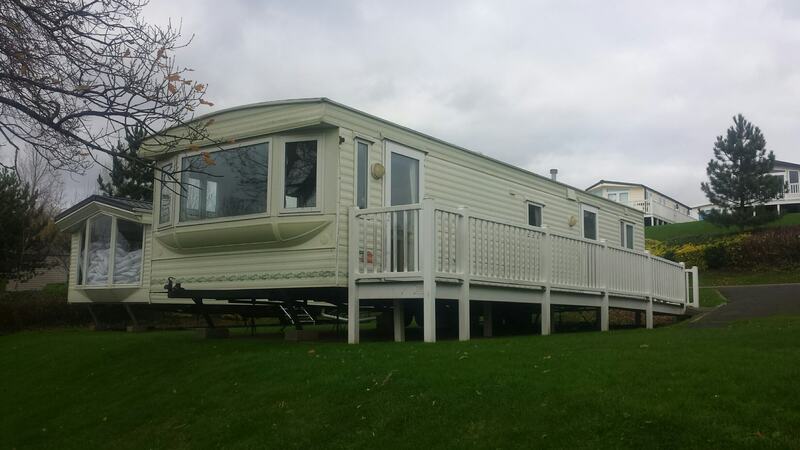 Our caravan is suitable for wheelchair users and has two twin bedrooms. There are ceiling pulleys in the main bedroom. There is also a facility in the lounge to make up a double bed. The bathroom has a wheel in shower. The caravan is double glazed and also has fitted convector heaters.